What better way to pump up your run than putting some good music on? Recent research findings claim that music helps you successfully finish a tough workout while having fun in the process. 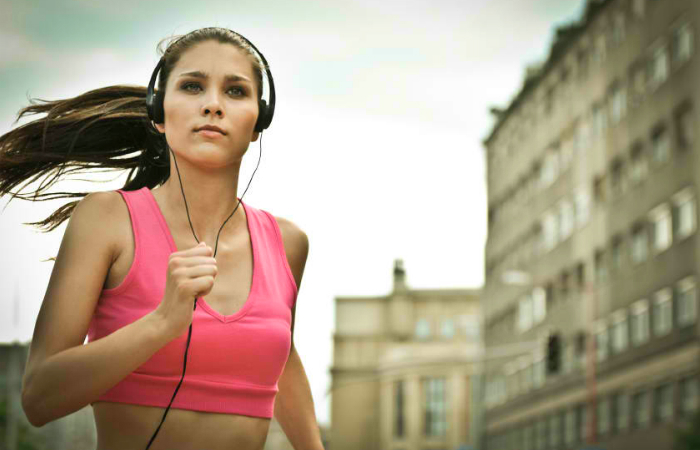 Your body will not mind the physical strain while running as long as you listen to the right songs. However, in order to achieve that, you need to have stable headphones. After careful research and product testing, we are giving the best headphones for running in today’s market while considering affordability. 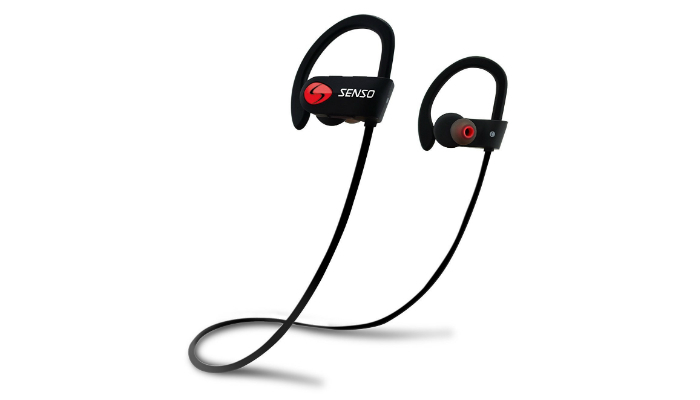 Senso IPX7 Waterproof Sweatproof Wireless Bluetooth HD Stereo Running Headphones can continuously play songs for eight hours on battery because of enhanced lithium polymer material. Despite their extremely long battery life, they can be fully charged again in just less than two hours. In addition, they have noise cancelling technology to let you focus on your run no matter where you are. They also have excellent acoustic components to provide you awesome audio quality, especially when it comes to clear treble and deep bass. These headphones for running have flexible hooks and gel silicone earbuds to stay secure on your ears without giving discomfort and fatigue. Their Bluetooth feature prevents tangled wires after your exercise routine. Another amazing feature is the built-in microphone with great clarity and stability for better long-distance conversations even while running. 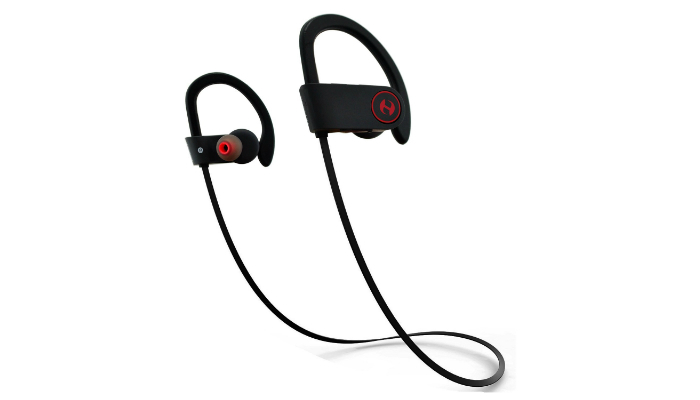 Hussar IPX7 Waterproof Magicbuds Wireless Bluetooth Sports Headphones are not only great for running. They can also be ideal for impact sports, cycling, hiking, and gym workout. They have a unique way of notifying you about an incoming call. A voice prompt will let you know that someone is calling you. If a ringtone is used, you might absent-mindedly consider it as another song. That’s why these headphones guarantee that you will never miss a call during exercise. 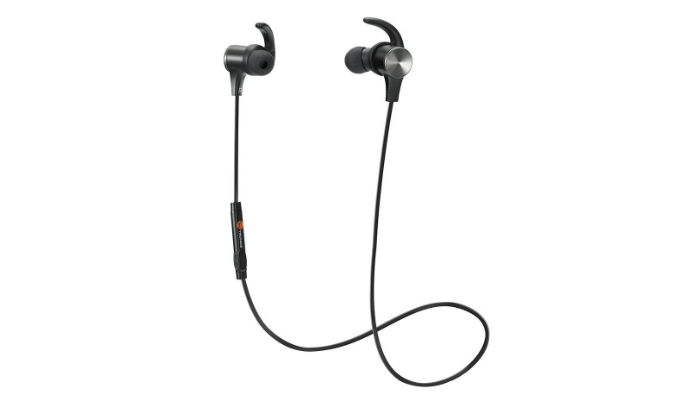 TaoTronics 4.1 Magnetic aptX Stereo Wireless Bluetooth Sports Headphones have a unique feature aiming for a more hassle-free ownership. They have built-in magnets so you can just stick the headphones together and wear both of them like a necklace when not in use. ALZN Waterproof V4.1 Heavy Bass Stereo Wireless Bluetooth Sports Headphones are extremely light, making you forget that you are wearing something on your ears. More about their waterproof feature, they have two layers of materials for that. One layer is composed of a water-resistant shell while the other has internal nano-coating treatment. In case of sudden rain, while you are running outside, your headphones will stay unharmed. 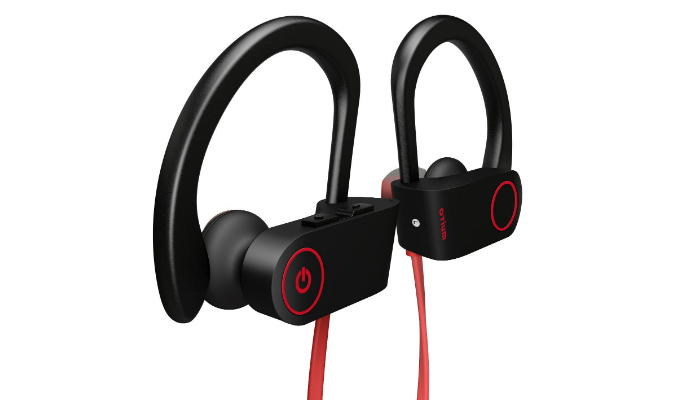 Otium IPX7 Waterproof Sweatproof Bluetooth HD Stereo Sports Headphones are too easy to store inside an arms package bag or armband because of their wireless feature. They are also easy to control, thanks to their buttons that provide a wide range of functions based on their connection to your high-tech smartphone. 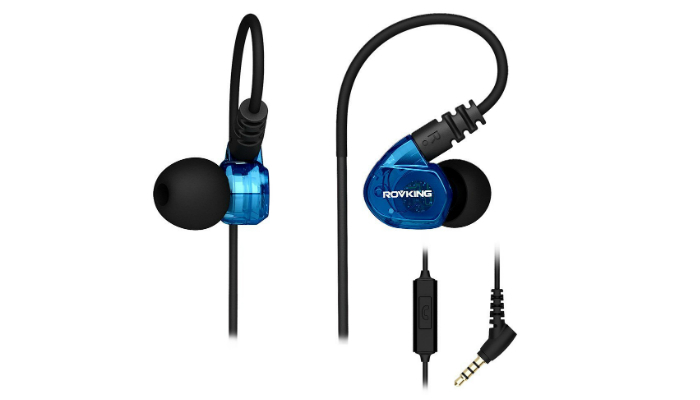 ROVKING Sweatproof Noise Isolating Stereo Running Headphones have a unique way to prevent ear fatigue. Their earbuds are smaller than most so you do not have to stretch your ear’s opening anymore just to hold one. However, they can still completely seal your ears for effective noise isolation. Commuters or travelers will surely be delighted as well with the noise isolating feature. When you are literally on the run, it is important to have headphones that are reflective to increase your visibility. This will reduce accidents while running. Furthermore, select headphones that have an open design or use awareness apps in order for you to be aware of your surroundings. You will never know if there is an upcoming danger when you have noise cancelling headphones. It is highly important for a runner to be alert all the time. Unfortunately, most sports headphones are still promoting noise isolation to eliminate rhythmic noises while running such as your breathing and steps. To solve this confusion, you have to do more research about headphones if you usually run along a highway or sketchy trails in the woods. On the other hand, if you simply run around your neighborhood or on a treadmill, then you are lucky to choose any pair of sports headphones you want. For an even safer time as a runner, find out how to prepare properly before your run by knowing what to wear when running. To give you further ideas, you may also want to check our list for best running belt, best running shorts, best running socks, best running backpack and best running watch. Headphones for runners should be moisture- or water-resistant so that it will not be damaged easily by wetness. While running outdoors, it is always 50 percent possible to encounter sudden rain. 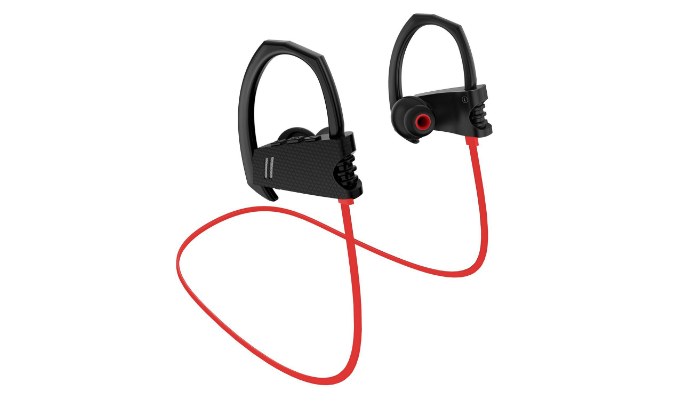 Sweat can also easily get into the earbuds, so there are now headphones that are labeled “sweatproof.” Buy a pair of headphones for running that can withstand bad weather and sweat. To be more prepared for rain while you are outdoors, learn about the best jackets for this weather. A good fit is everything. The best style of headphones for running are earbuds. However, regular earbuds tend to fall out when you move a lot. Good thing that sports headphones are designed with soft silicone tips to securely fit everyone’s ears. Moreover, buy headphones that have extension tips or hooks to keep your earbuds in place. When you are too focused while running, the last thing you want to do is to stop and open your phone just to skip a track or adjust the volume. Fortunately, most sports headphones in stores right now have controls that will help you take a call, skip a track, adjust the volume, and other basic functions. Make sure to get headphones with that feature. Since you are moving a lot while running, it is important to get headphones that minimize cord entanglements. 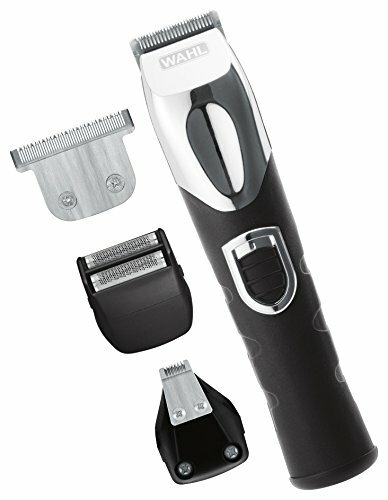 Opt for the durable, flat and tangle-free design. 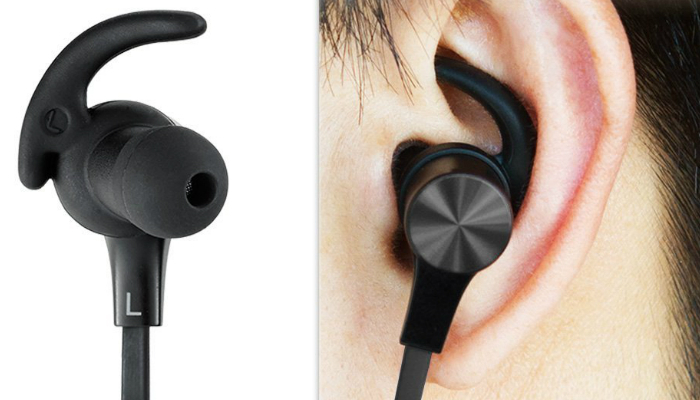 You can easily toss this type of headphones into your gym bag without worrying about their safety. It is also worth noting to buy sports headphones with a longer cord so that you will not feel restricted when running. However, wireless or Bluetooth headphones are currently the stars of the show. Just make sure that they are fully charged most of the time so that you will not get distracted when your music suddenly stops playing while you are running. With all the factors we have mentioned, there is still one left that is actually too crucial to think about. Make sure that your headphones will produce high-quality sound to keep you motivated while running. Buy brands with a solid reputation when it comes to professional audio quality. We selected Senso IPX7 Waterproof Sweatproof Wireless Bluetooth HD Stereo Running Headphones as our top product because of their immense popularity, long battery life, excellent sound quality, stability, comfortable earbuds, tangle-free feature, and high-quality microphone. Water resistance, comfort, controls and sound quality are common factors to consider before purchasing the best headphones for running. Ones with cords are still preferable for some people, but Bluetooth headphones are trendy nowadays. Lastly, noise isolating technology is not for street and trail runners. Although, it is a popular feature for sports headphones. On the other hand, you may also check out our take on the best MP3 player available on the market today. How To Grow A Weed Plant?